The 25 year-old Russian and former editor of Harper's Bazaar Russia is now a freelance writer and an international fashion icon. She is ofter seen wearing designers such as Miu Miu, Lanvin, Alxerander Wang and Prada. Stalked by fashion photographers the world over, she is a fashion week regular. Her highly coveted wardrobe and feminine style have made her an "It Girl". 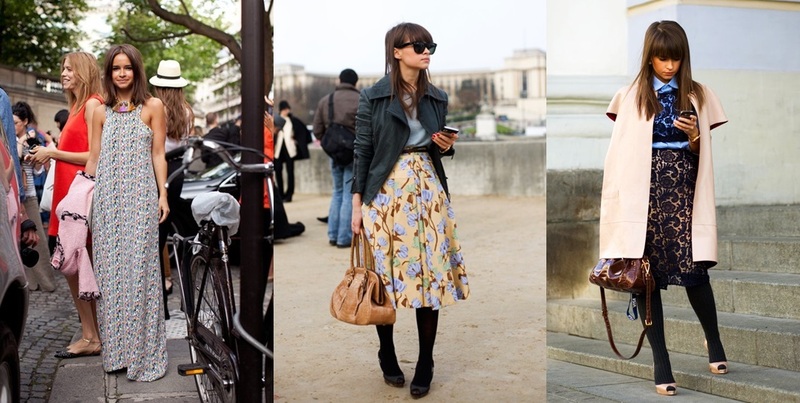 Her pretty style ranges from young & girly to chic and smart. With this Russian doll, its all about the outfit. Classic leather bags and black heels let the outfit do the talking. Sunglasses and eye-catching jewellery are a must. Her impeccable hair adds the finishing touches. Amazing amazing amazing post!! Am so obsessed with Miroslava. Great inspiration, thanks for posting!